Australia Post has been delivering for the community, its customers and its people for more than 200 years. But how, the methods, and the products being delivered will continue to evolve. This is particularly true for the Post Office network. has been investing in new technologies to digitise the Post Office and equip its retail staff with the tools and capabilities to help their customers. 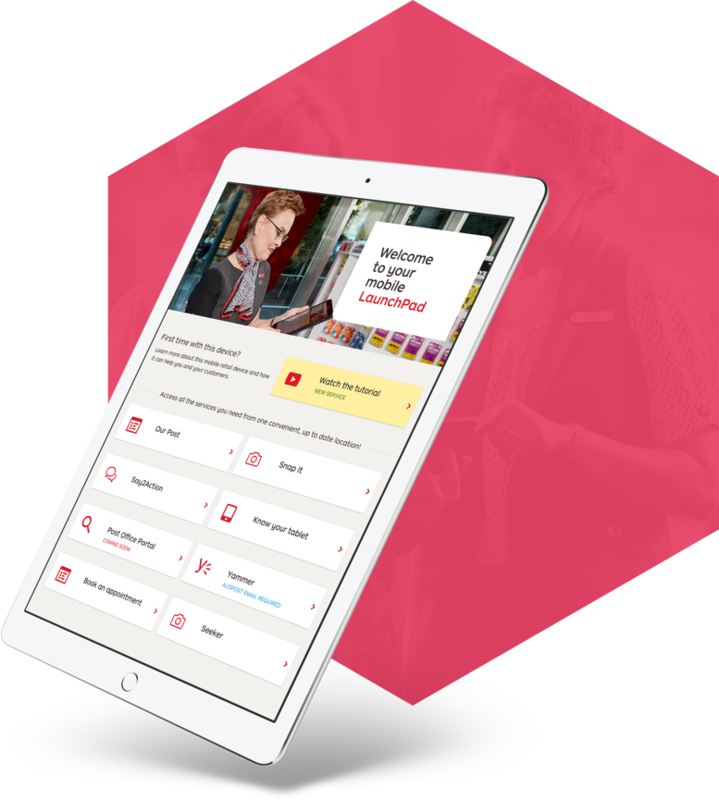 As part of its digital transformation, Australia Post engaged IE Digital to develop the first in-store ‘LaunchPad’ application. 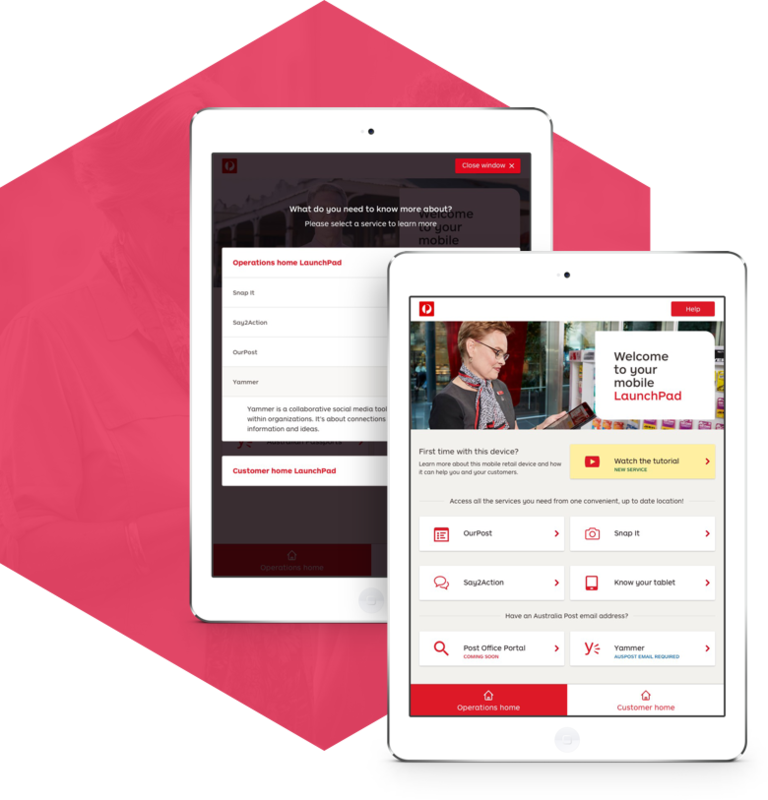 The application, created in collaboration between Australia Post developers and the IE team, focused on improving the interactions between its retail employees and their customers. This project concept arose directly from internal discussions with Australia Post staff, who expressed the desire to respond more efficiently to customers’ requests. Better connect in-store staff to employees in Australia Post’s head and state offices. In only three sprints, the team delivered the first release of the application to over 700 corporate Post Offices and Business Hubs. By working closely with the Australia Post team during these fast-paced sprints, the team quickly developed a prototype to put forward for customer testing. Through the LaunchPad app, Australia Post retail employees can now use native applications like Google Maps, seek information with government websites in regards to Australian passports and working with children checks, and directly lodge customer inquiries and service requests. The success of the project was down to understanding the needs Australia Post had, and how the IE team could create an efficient and human-centered application that helped to create a more seamless customer experience in-store.